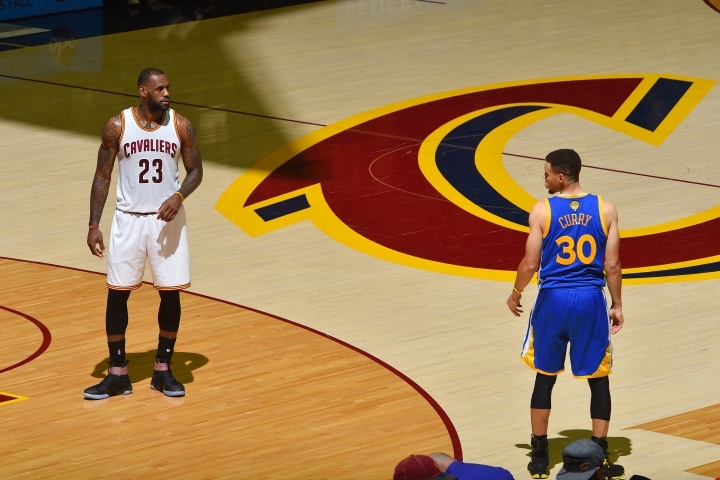 LeBron James #23 of the Cleveland Cavaliers stands on the court with Stephen Curry #30 of the Golden State Warriors in Game Four of the 2016 NBA Finals on June 10, 2016 at Quicken Loans Arena in Cleveland, Ohio. 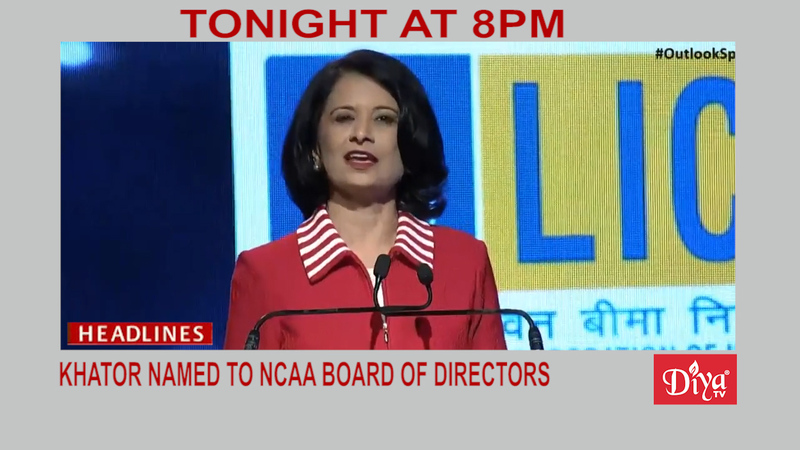 CLEVELAND (Diya TV) — The question had been asked more than once throughout the first three games of the Finals: when would Curry and Thompson return to the court with a shooting performance their opponent couldn’t overcome? The Splash Brothers are back. 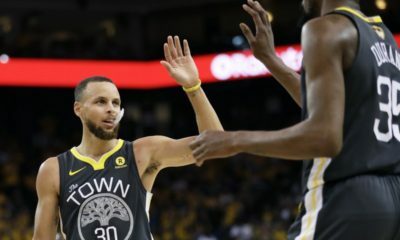 During the third quarter of Friday night’s Game 4 of the NBA Finals, Stephen Curry nailed his first two three-point attempts, he and Thompson proceeded to combine for back-to-back three-pointers, then Curry dropped another one. 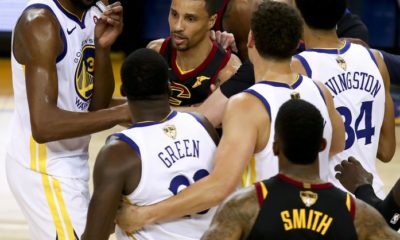 “We were threatened, and we responded well,” Warriors head coach Steve Kerr said afterward. 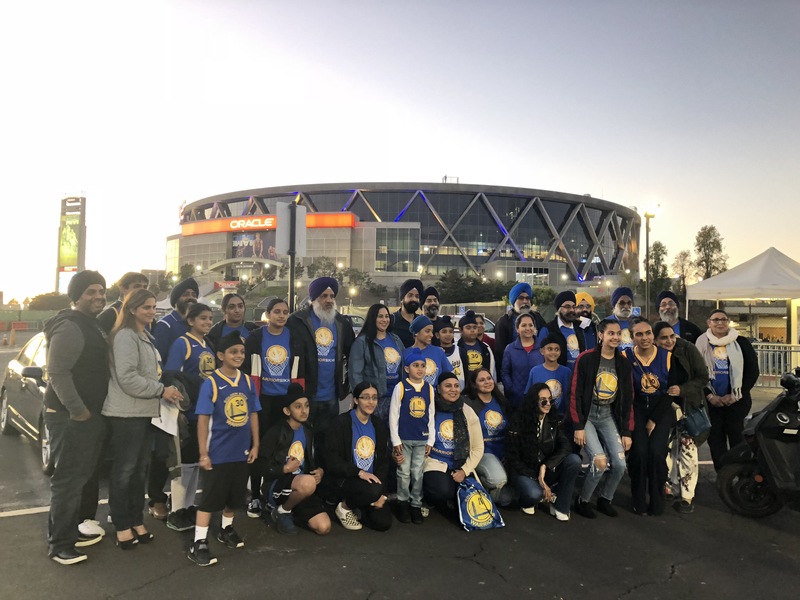 Golden State faced an eight-point deficit early in the third quarter before Curry and Thompson got to work — they entered the fourth with the lead. For the night, Curry sunk seven three-pointers and posted 38 points, the first time he’d eclipsed the 20-point mark this series. Thompson finished 4-of-9 from beyond the arc and scored 25 points. Curry represented 24 points for the second half, including a 13-point performance in the final frame. 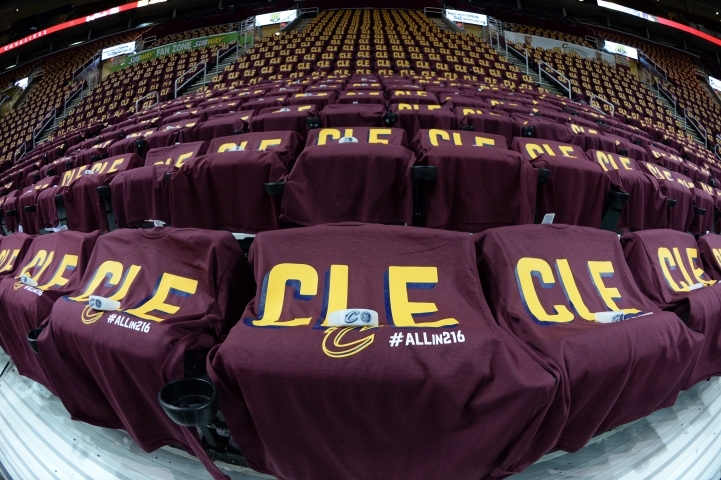 An overall of Quicken Loans arena prior to Game Four of the 2016 NBA Finals between the Golden State Warriors and the Cleveland Cavaliers on June10, 2016 at Quicken Loans Arena in Cleveland, OH. The Warriors set a new Finals single-game record with 17 three-pointers made. 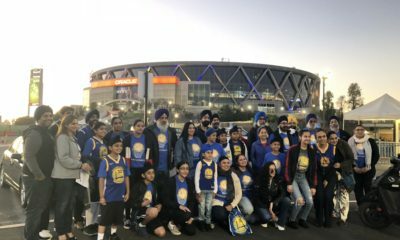 “Our work’s not done, obviously,” Curry said. “I’m glad I showed up a little bit.” This is the sort of determination and confidence fans of Stephen Curry like to hear. 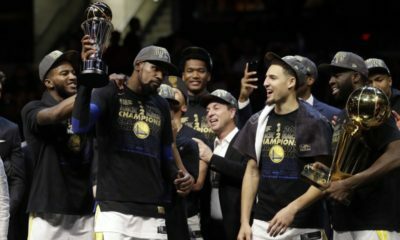 Being one of the stand out players this season, there’s not doubt that many fans will have printed off their tournament bracket chart using sites such as https://www.interbasket.net/brackets/ncaa-tournament/fillable/ to predict a positive outcome for the Golden State Warriors. Now, Golden State heads home for a climactic Game 5 on Monday on their home court, where they can clinch their second-straight championship. 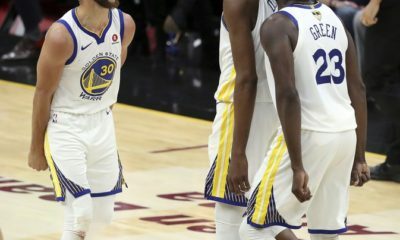 For Cleveland, the reality of Monday could be as harsh as the numbers — just 10 teams in the history of the league have come back to win a series when facing a 3-1 deficit, and one of those 10 teams is their opponent. Golden State trailed Oklahoma City 3-1 in the Western Conference Finals, and proceeded to win four straight. Cavaliers guard Kyrie Irving led the team with 38 points, LeBron James had 25, adding another 13 rebounds and nine assists. It wasn’t James best game, he shot 9-of-13 from the field but just 1-of-5 on threes. Kevin Love, who suffered a concussion during Game 2 and missed Game 3, was cleared to play Friday night. Now, the series returns on Monday to Oracle Arena, where the Warriors went 39-2 during the regular season. 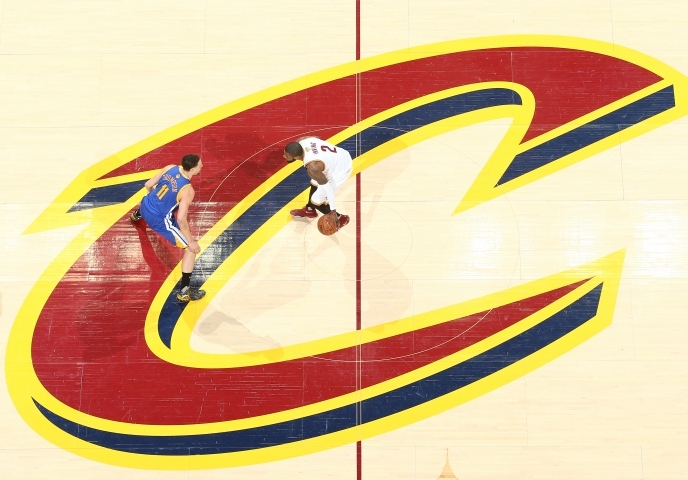 In Golden State’s first two home games in the Finals, they beat Cleveland by scores of 104-89 and 110-77.